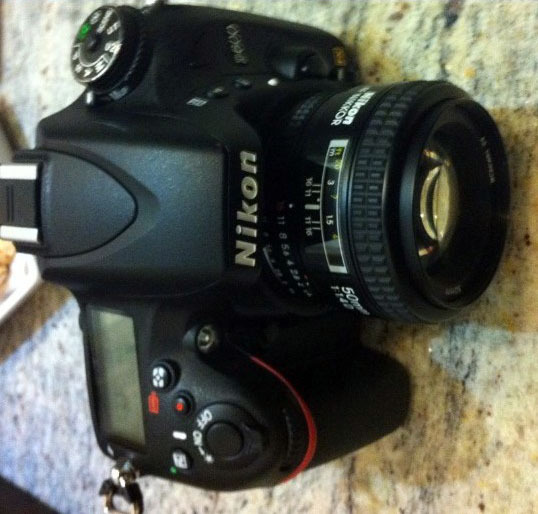 Nikon D600 Revealed – First Photos Leaked! 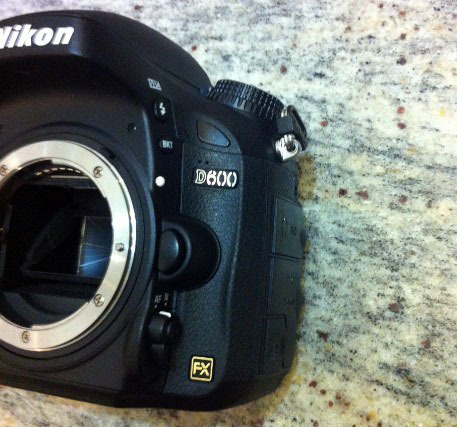 The first photos of the Nikon D600 were leaked on Chinese website Xitek this morning. The photos show the front, part of the left side and top of the new full-frame camera from Nikon. The D600 is a compact body with FX format sensor. One photo clearly shows the large mirror and pentaprism that confirms this is a full-frame camera. The auto focus motor is also clearly visible. The two buttons on the front could be a function button and a dept of field preview. 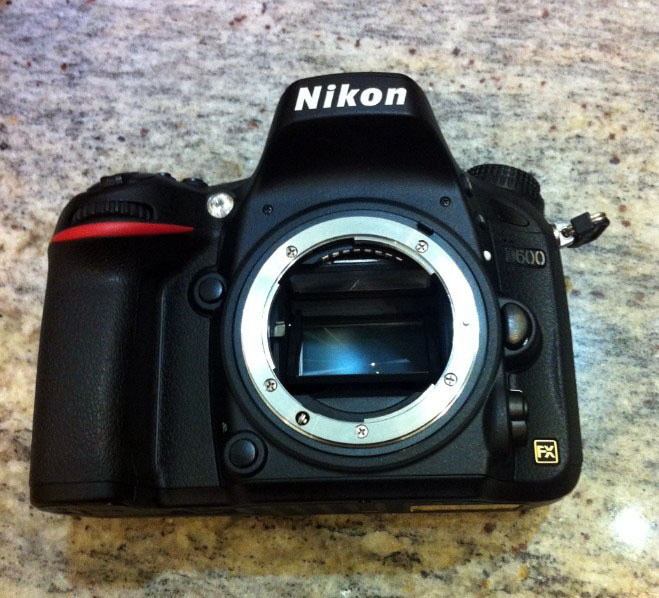 The side view of the Nikon D600 shows the current focus mode selector switch and button as seen on the D800. The side doors are labeled Mic for mic input for video, as well as more ports which would house the HDMI output, USB connectivity and remote port. The panel on the upper right above the D600 logo appears to be an infrared remote receiver window. The top view shows the back-lit LCD display, direct access to video recording button, metering mode selector button, command dial, exposure compensation button, shutter release and traditional on-off switch. The viewfinder hump is clearly large enough to accommodate the large viewfinder necessary on the full-frame format. At the upper left we see the mode selector with lock, and some modes are visible, including a mirror-up shooting mode (Mup). The body appears to be at least as compact as a D7000 and maybe even smaller. The lens shown is the Nikon 50mm 1.4D NIKKOR. The D600 is expected to be announced soon with delivery toward the end of Summer 2012. The camera is expected to be priced competitively, perhaps landing below $2000 US Dollars at introduction. This is an aggressive move for Nikon, but with a low-cost FX option many users will be enticed to upgrade and will greatly increase the demand for full-frame lenses, such as the recently released 28mm f/1.8G and 85mm f/1.8G as well as the 24-85mm f/3.5-4.5G ED VR also announced today.